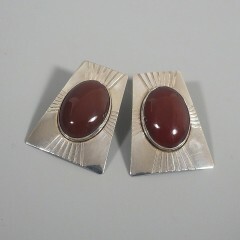 It's time to bring on the flowers! 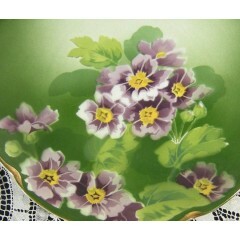 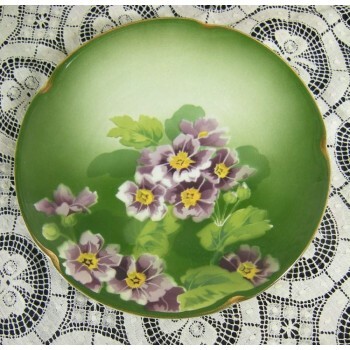 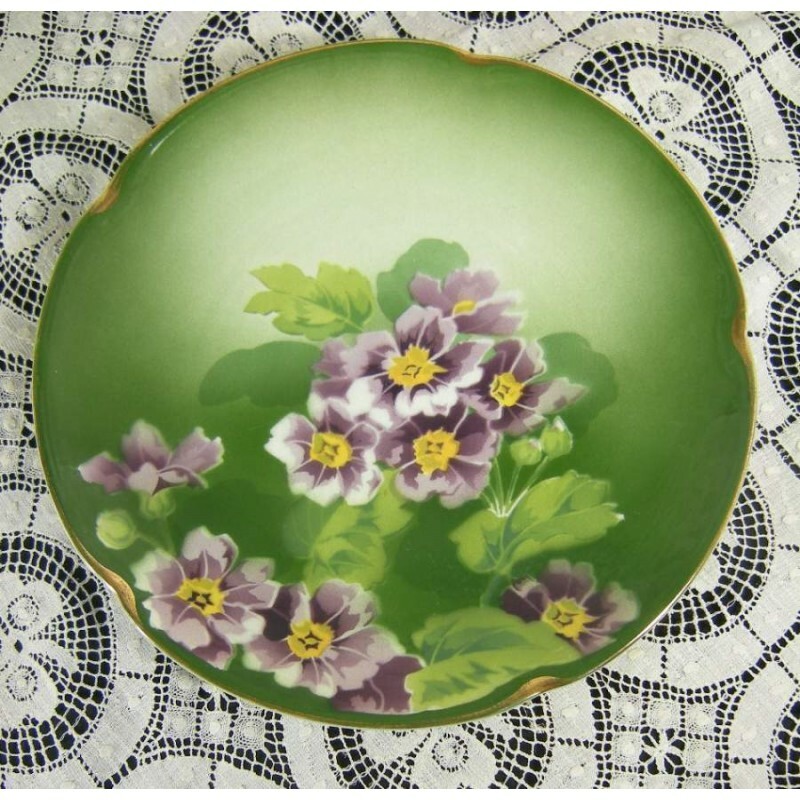 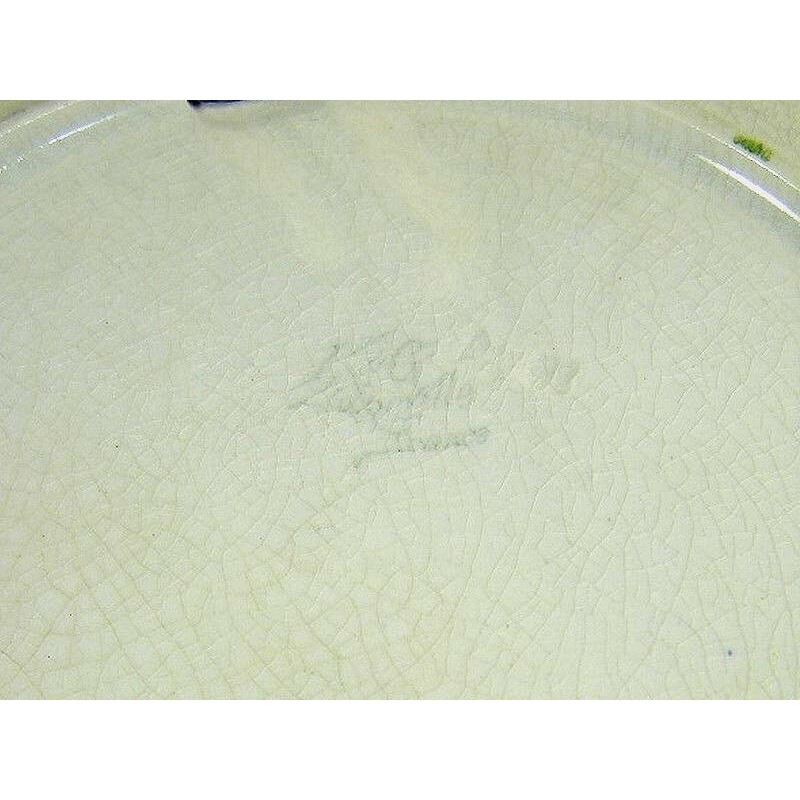 Offering a lovely Keller & Guerin cabinet plate decorated with gorgeous purple and yellow primroses at various stages of bloom against a graduating green ground to light powdery green at the top and a dark solid green at the rim and bottom half. 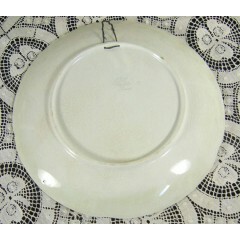 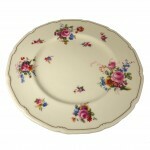 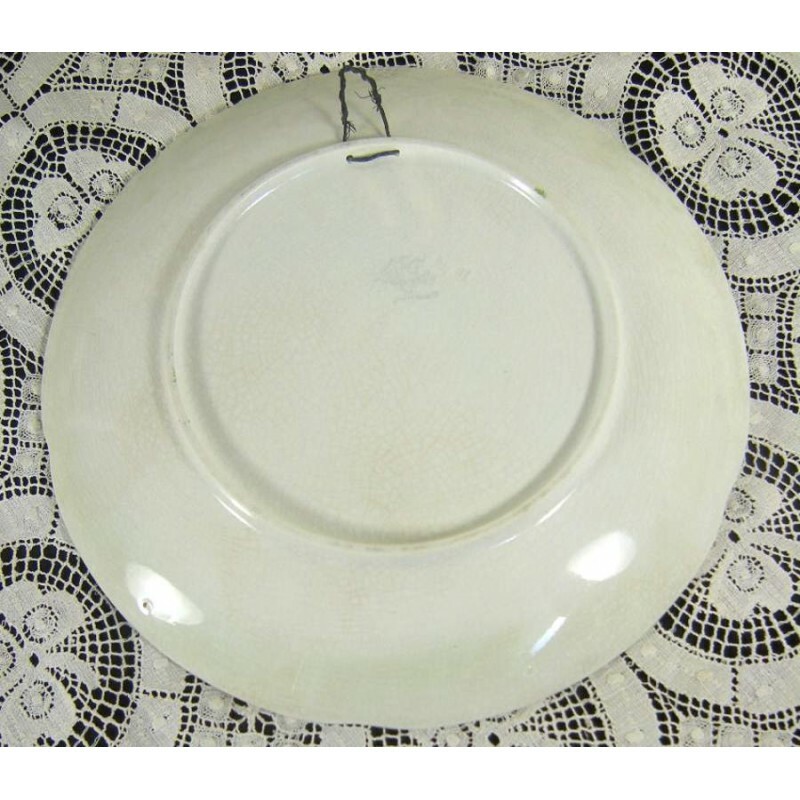 Measuring 10 inch in diameter, this plate is in excellent condition, with no nicks, chips, or cracks, and showing only fine, overall crazing and moderate wear to the gilt rim. 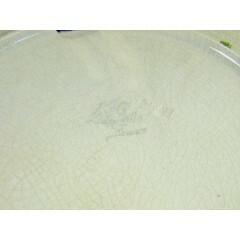 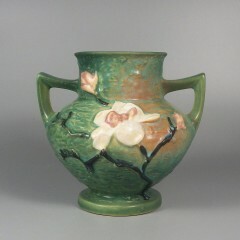 Circa 1900, this plate is marked K&G Luneville France, the well-known French faience factory operated by Keller and Guerin.